Leila Massey, a promising young screenwriter, lands a hotshot agent and is on the verge of hitting it big when she falls into the powerful grip of drug addiction. Along with her new actor boyfriend, Leila's catastrophic descent into the dark underbelly of Los Angeles leads her to a drug-fueled commune in the desert, a filthy room at the Chateau Marmont, and, eventually, rehab. Based in part on the author's own life, Liana Maeby's brilliant debut novel is raw and haunting, and simultaneously astute and humorous. 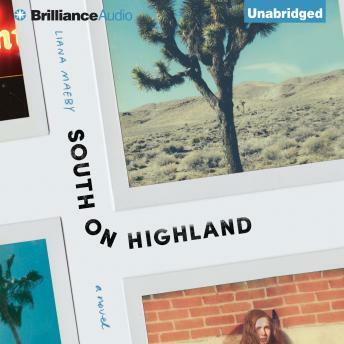 South on Highland explores identity and questions our culture's response to addiction and sensationalism.